Nashik has been identified as tribal region by the Maharashtra government. This place acts as the source for several important rivers in Maharashtra. Many dams have been built in Nashik district, because of the abundance of water sources. Godavari River (popularly known as Ganga of South India) originates at the holy city of Nashik. Apart from it there are many other rivers originating from Nashik, such as Girna, Darna, Aram, Mosam, Vaitarna, Kadwa and Manyad. Gangapur dam in Nashik, the longest earthen dam in Asia was constructed in year 1954. This dam has built on the river Godavari in the outskirts of Nashik city. This was the first dam to be built in the district. This dam is located at Gangawadi village which just is 10 kms away from the Nashik. Gangapur dam has a catchment area of 357.4 Sq.km and maximum height of 36.57m. There are two canals channelizing water from the dam to the surrounding areas. The right bank canal is just 30 kms length, while the left bank canal is 64 km in length. This dam can discharge 81013 cusecs** (2294 cumecs) of water through its 9 radial gates. Apart from the dam related functions, the Gangapur dam is a great spot for several outdoor activities. This is an amazing spot just near to Sula vineyards, so you can always mix the trip to Sula vineyards with Gangapur dam. A short walk to the barren land might lead you to the lake formed by Gangapur dam. You can watch the moonrise from the top of the dam. You can spend some happy time at the garden nearby the dam which serves as a good picnic place, but you have to get the permission from the chief executive engineer of the dam. If you are a nature lover, you might find some interest on the algal forms of taxonomic groups in the Gangapur dam's fresh water ecosystem. This dam is built up of clay, stones, mud and sand materials. 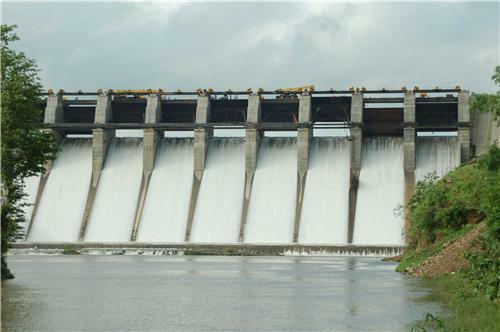 It is also count as one of the biggest dams built on the Godavari River. Gangapur dam supplies range of benefits including river navigation, water supply, waste management and maintains ecological balance. The dam also has a religious perspective as it accumulates the water from sacred Godavari River. On weekends, you can see good crowd, especially the young. Girna Dam, the second largest dam in Maharashtra and is an earth fill dam on Girna River near Nandgaon in Nashik district. Girna dam receives water from two rivers namely, Girna and the Godavar.. There are many small Rivers and tributaries draining towards the dam. Girna dam has a height of 54.56 m (179.0 ft) and the length of 963.17 m (3,160.0 ft). This dam can contain storage of 146,102.07 cubic meters (608,980.00 km3) of water. Girna dam covers 10000 acres of agricultural land under irrigation and satisfy the drinking need of around 10 lakh of people in the area. You may spend an evening going up the Girna dam and have some good time there. Darna dam in Nashik was built by the British in year of 1916. This dam has a catchment area of approximately 404 sq km. Darna dam is categorized as a gravity dam on Darna River near to Igatpuri in Nashik. The maximum height of this dam is 28 meters and the total length would be around 1635 meters. You can see 6 irrigation outlets on left bank of the river and 2 irrigation outlets on right bank. The gross storage capacity of Darna dam is 54,429.01 cu mi (226,870.00 km3). And this dam can contain a volume capacity of 452.5 cu mi or 1,886.1 km3. 50 automatic Reynolds type gates have been built in this dam for passing the 71250 cusecs of water. This masonry dam is located on the Nashik-Mumbai National Highway near to the Wadivarhe village just 15 kms away from city. 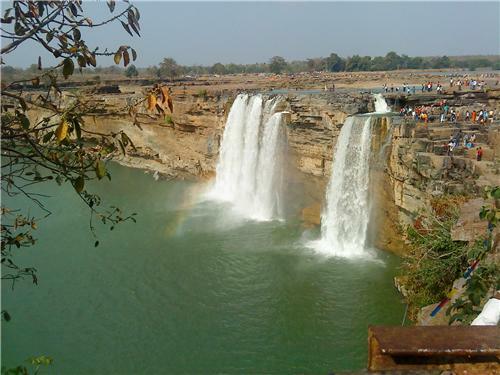 Dams in Nashik are also good places to visit in the beginning and end of monsoons and winter especially for couples, who would like enjoy some pleasant weather. It would be a breathtaking experience to visit the dams in Nashik. The areas might be little deserted, so make sure that you travel with groups and of course, during the day time. If you go around in the evening, you can see the dams in Nashik as very calm, which would be the most pleasant time of the day to visit. What is water level at current date.in summer season there will short or not?